Archeologists have known of the painted pebbles in southwest Texas for about 100 years. Extensive excavation of dry rockshelters in the eastern and central Trans-Pecos region began in the 1920s. Initial digging by local collectors was followed in the 1930s by over half-dozen institutions that mounted multiple museum-stuffing expeditions. Davenport and Chelf (1941) compiled 281 pebble designs observed in various collections from Val Verde county made during the 1920s and 1930s. 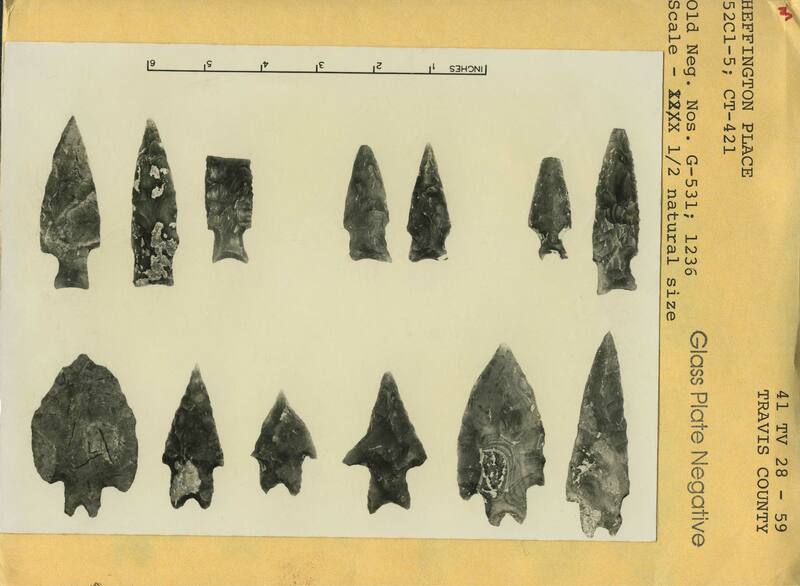 The Amistad Reservoir salvage program carried out by UT Austin’s Texas Archeological Salvage Project (TASP) from 1958 to 1969 provided numerous additional samples that were recovered from various rockshelters in the Lower Pecos River portion of the eastern Trans-Pecos. As a result, the greatest number of known painted pebbles are from Val Verde county. UT Austin student and TASP employee Mark Parsons (1967) studied painted pebbles intensively during the early 1960s. His full research paper, in which he worked with a sample of roughly 400 specimens (interpolated from his 1967 references), was never published, but a summary of it appeared later (Parsons 1986). Parsons’ work provides a foundation for continuing study of these fascinating artifacts. 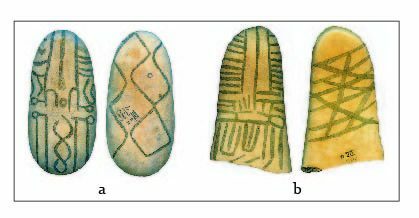 He demonstrated that the narrow end of most pebbles is the top portion of the design, but importantly he also defined a Core Motif comprised of 3 elements, and he described six proposed styles of pebbles. 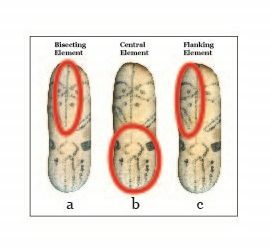 The three elements of the Core Motif defined by Parsons include a Bisecting Element consisting of one or more vertical lines, a Central Element that is horizontal and located toward the lower portion of the pebble, and Flanking Elements positioned on either side of the bisecting element (Fig. 1). Each of these elements may comprise a variety of motifs. The six painted pebble styles proposed by Parsons are currently being reviewed as part of a long-term study initiated by Shumla in 2009. 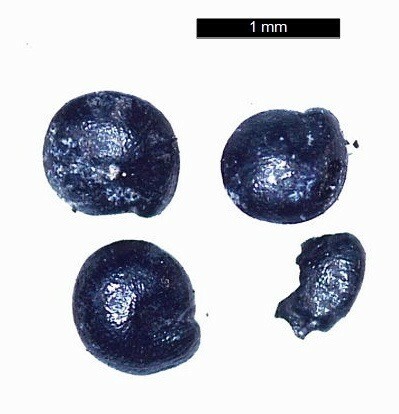 The research team that includes Dr. Jean Clottes (Foix, France), Dr. Carolyn E. Boyd (Texas State University), and Elton R. Prewitt (TARL) currently works with a sample of roughly 750 painted pebbles. Although modifications to Parsons’ styles appear warranted, the basic structure he presented is sound and requires tweaking only in light of specimens excavated subsequent to his study. Mock (1987, 2011, 2012, 2013) employs a different method of grouping painted pebbles based upon individual motifs rather than overall style. Her work has contributed significantly to possible pebble motif interpretations. However, we choose to follow the earlier work by Parsons that was based upon analysis techniques used in art history studies. Pebbles may be painted in red, black or both, and sometimes yellow or white may be observed. Color is not used as a factor in the present examination of style. The illustrations that follow are enhanced either by pencil shading or digital overlay in order to make the sometimes very dim designs visible. Specimens are identified by their Shumla identification number (SID). Parsons’ Style 1 exhibits geometric patterns. The Bisecting Element generally is three vertical lines while the Central Element has concentric circles and the Flanking Elements contain “X”s or diagonal lines. Designs often wrap around the lateral edges and most frequently are executed by fine lines. However, some pebbles of this style are executed by broader lines, prompting a suggestion that two substyles might be defined (Fig. 2). Figure 2: Style 1, Early Geometrics; a) Style 1A (SID00775); b) Style 1B (SID00715). In Parsons’ Style 2 the Bisecting Element usually is three lines, but the Central Element may be rectangular or circular with linear or spatulate forms radiating from it. The Flanking Elements include horizontal crescent lines or “flags.” While not overtly so, this style has elements of anthropomorphic representation. The Central Element circle is very suggestive of female genitalia. Two substyles are distinguished, the first of which includes horizontal crescents as originally defined by Parsons. The second includes straight lines (flags) that may be horizontal or diagonal and usually intersect a vertical line (Fig. 3). Figure 3: Style 2, Flag Design showing obverse and reverse patterns; a) Style 2A (SID00154); b) Style 2B (SID00155). Style 3 pebbles are overtly anthropomorphic with female genitalia apparent in the Central Element. The key features that identify this style are vertically-oriented chevrons positioned to suggest eyes in the Flanking Elements. Sometimes there are multiple chevrons, and some may be joined into a heart shape (Fig. 4). Figure 4: Style 3, Chevron Eyes oriented vertically; a) SID00148; b) SID00500. Parsons’ Style 4 is problematical. He defined this style based upon only three specimens, all of which are anthropomorphic exhibiting eyes similar to Style 5. The key motif he proposed is a “V” shape suggestive of projectiles. 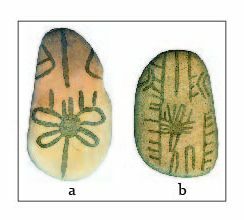 While this motif appears on several pebbles other than the original three, none of them are anthropomorphic with identifiable eyes. Tentatively, Style 4 may be redefined to include pebbles that have anthropomorphic qualities, especially female genitalia in the Central Element, but that lack eye representations in the Flanking Elements. The three pebbles Parsons used to define this style are now included in Style 5. Five substyles of Style 4 may be recognized (Fig. 5). In Style 4A the Bisecting Element includes a vee shape or a zigzag. Style 4B has anthropomorphic elements but no eyes while Style 4C is defined by fine-line application and the Central Element exhibits open circle or brackets. Style 4D comprises most examples not assignable to Styles 4A, 4B or 4C. Style 4E includes examples where apparent hair (or head) only is depicted either in red or black monochrome. Figure 5: Style 4, Anthropomorphic, lacking eyes; a) Style 4A (SID00630); b) Style 4B (SID00626); c) Style 4C (SID00181); d) Style 4D (SID00611); e) Style 4E (SID00256). Parsons’ Style 5 includes clearly anthropomorphic representations that he divided into two substyles. However, considering the observable variation in the currently available examples it appears four substyles might be appropriate for this group. Basic to the style is the presence of open brackets or circles in the Central Element and depictions of eyes in the upper Flanking Elements (Style 5A). Some examples exhibit downward diagonal lines or bands that converge toward the open brackets or circles (Style 5B). 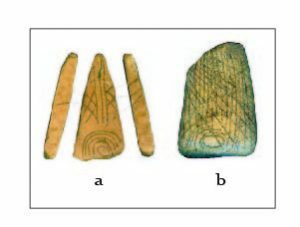 Others appear to have subtle shading on the upper portions of the pebbles suggestive of hair or possibly skull caps (Style 5C). Some anthropomorphic pebbles (Style 5D) are simply not assignable to a specific substyle (Fig. 6). Figure 6: Style 5, Anthropomorphic, eyes depicted; a) Style 5A (SID00632); b) Style 5B (SID00022); c) Style 5C (SID00535); d) Style 5D (SID00285). Style 6 also is anthropomorphic, but hair is clearly depicted both on obverse and reverse faces of the pebble. The Central Element is positioned higher on the pebbles than in other styles; it usually includes a rectangle or oval suggestive of a mouth. Eyes are most frequently depicted by short horizontal bars, but sometimes are depicted by vertical chevrons. No revisions are proposed for Style 6 (Fig. 7). Figure 7: Style 6, Anthropomorphic, hair clearly depicted; a) SID00397; b) SID00701. Newly proposed Style 7 includes a variety of geometric designs that differ markedly from those included in Style 1. 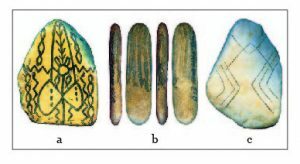 Divided into three substyles, Style 7 pebbles may exhibit designs that depict “butterfly” motifs (Style 7A) while others comprise vertical lines only (Style 7B). Still others (Style 7C) contain various geometrics such as chevrons that may be nested or sometimes interlocking (Fig. 8). Figure 8: Style 7, Late Geometrics; a) Style 7A (SID00382); b) Style 7B (SID00733); c) Style 7c (SID00189). Parsons (1967, 1986) thought the various styles of painted pebbles formed a continuous artistic tradition that extended from the Early Archaic period through the Late Prehistoric period. That notion, however, was based on an outdated concept of Lower Pecos River regional chronology wherein the Late Archaic began at about 3000 B.P. As currently understood, the Late Archaic begins at about 4000 B.P. (Black and Dial 2005; Castaneda et al. 2018). As originally proposed by Parsons, Style 1 pebbles indeed date to the Early Archaic (9000 – 6000 B.P.) as is confirmed by stratigraphic position and radiocarbon assays obtained from Eagle Cave (41VV167) near Langtry (Koenig and Black 2017). None of the styles are found in contexts suggesting a Middle Archaic (6000 – 4000 B.P.) age affiliation, contrary to assertions by some researchers (Mock 2012; Turpin and Middleton 1998). Styles 2, 3, 4, 5, and 7 are all Late Archaic (4000 – 1200 B.P.) in age although some may extend into the early part of the Late Prehistoric. While Parsons postulated a temporal seriation among those styles, this suggestion cannot be confidently supported at this time. That Style 6 dates to the Late Prehistoric (1200 – 400 B.P.) as Parsons proposed seems quite reasonable although no examples have been found in clear unmixed context. Acknowledgements: Thank you to the numerous people who have assisted in this ongoing study. The staff at TARL, the Witte Memorial Museum in San Antonio, the Amistad National Recreation Area of the National Park Service and the Jack Skiles family generously allowed access to their collections. This summary is revised and condensed from a paper entitled “A Review of Parsons’ Painted Pebble Styles” presented at the 89th Annual Meeting of the Texas Archeological Society, San Antonio TX 26-28 October 2018. Black, S. L. and S. W. Dial, 2005. Electronic document, https://www.texasbeyondhistory.net/plateaus/prehistory, (accessed 19 December 2018). Castañeda, A. M., C. W. Koenig, M. W. Rowe and K. L. Steelman, 2018. Portable X-ray Fluorescence of Lower Pecos Painted Pebbles: New Insights Regarding Chaîne Opératoire, Context, and Chronology. Manuscript on file, Shumla, Comstock TX (submitted to Journal of Archaeological Science). Davenport, J.W. and C. Chelf, 1941. Painted Pebbles from the Lower Pecos and Big Bend Regions of Texas. Bulletin V, Witte Memorial Museum, San Antonio, TX. Koenig, C.W. and S.L. Black, 2017. Low Impact, High Resolution: Unraveling and Learning from 10,000 Years of Hunter-Gatherer Use of Eagle Cave. Paper presented at Society for American Archaeology 82nd Annual Meeting, March 29th-April 2nd, Vancouver BC, Canada. Mock, S.B., 1987. The Painted Pebbles of the Lower Pecos: A Study of Medium, Form and Content. M.A. Thesis, Department of Anthropology, University of Texas at San Antonio. Mock, S.B., 2011. Portable Rock Art of the Lower Pecos Canyonlands: The Symbolic Work of Women. American Indian Rock Art 37:115-132. Mock, S.B., 2012. 41VV2079 – A Rock Shelter Excavated by Ted Sayles in 1932. Bulletin of the Texas Archeological Society 83:191-213. Mock, S.B., 2013. Painted Pebbles: Lower Pecos Women Take Charge. In: Shafer, H.J. (Ed. ), Painters in Prehistory: Archaeology and Art of the Lower Pecos Canyonlands. Trinity University Press, San Antonio, TX, pp. 223-240. Parsons, M.L., 1967. Painted Pebbles: A Stylistic and Chronological Analysis. Manuscript on file at Texas Archeological Research Laboratory, Austin TX. Parsons, M.L., 1986. Painted Pebbles: Styles and Chronology. In: Shafer, H.J. (Ed. ), Ancient Texans: Rock Art and Lifeways along the Lower Pecos. Texas Monthly Press, Austin, TX, pp. 180-185. Turpin, S.A., and L. Middleton, 1998. Painted Pebbles from Archaic Contexts in 41VV156, A Rockshelter in the Lower Pecos Region, Val Verde County, Texas. La Tierra 25(3):51-54. Last fall, an archeologist working at TARL recognized a rare opportunity to look for plant remains from a site that had been excavated nearly 80 years ago. The site is the Rob Roy Site (41TV41), located in western Travis County, Texas on a terrace of the Colorado River. Austin residents will recognize the name for the residential subdivision that now overlooks the site. University of Texas personnel led by Dr. Kalvero Oberg excavated at Rob Roy from December 1938 to April 1939 with funding from the Works Progress Administration (WPA). Artifacts and notes were sent to TARL, but as attention turned toward World War II, the materials were never properly analyzed or written up. Regular readers of the TARL blog know that retired archeologist Dan Prikryl is currently working on the Rob Roy collections (December 2016, December 2017). He originally planned to use two charcoal samples from Rob Roy for radiocarbon dating, but he quickly realized that the soil collected along with the wood charcoal could contain small seeds or bulbs from foods and other useful plants. These could be parts of food plants that were accidentally burned during cooking, medicinal plants discarded after being used in poultices or teas, or debris from plants used for objects like baskets that were disposed of by burning in a campfire. Only plants that have been carbonized (turned to charcoal in a fire) can survive in the soil for hundreds or thousands of years at a site like Rob Roy where the deposits aren’t protected by cave walls and where the climate is humid enough that fresh plant parts decay into compost within weeks, months, or decades. It’s not quite clear why Dr. Oberg directed workers to save charcoal samples from the Rob Roy site. WPA-era excavators working on large mound centers like the George C. Davis Site collected burned corn cobs and beans but not usually wood charcoal. Radiocarbon dating, which is often done on wood charcoal, hadn’t been invented in the late 1930s when excavations were going on. The principle of flotation processing, the method for extracting small seeds from archaeological soils, was known but didn’t come into common use in archeology until the 1980s. It’s possible Dr. Oberg knew about early studies in dendrochronology and dendroclimatology and decided to collect samples in case they turned out to be useful for tree ring dating or understanding past climate and weather patterns. Since I specialize in identifying wood, nutshell, seeds, and similar plant material from archeological sites, Dan showed me the two charcoal samples from Rob Roy in the spring of 2017. I was able to select and identify a few fragments of wood charcoal for radiocarbon dating. Even in that quick scan, I could see that two types of wood had been burned in Feature 1, live oak (Quercus fusiformis; Figure 1) and an oak of the white group (Quercus sect. Quercus, which includes post oak, Q. stellata). Feature 2 contained white group oak, but it wasn’t clear if any other kind of plant material was present. 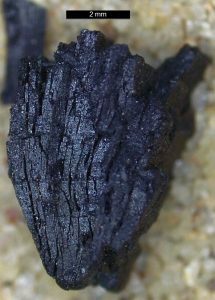 Figure 1: A fragment of live oak wood charcoal from Feature 1. The size of the sample from Feature 1 was 4.1 cubic decimeters, about a gallon, and it included loose soil as well as charcoal. At 0.1 cubic decimeters, the sample from Feature 2 was smaller, roughly ½ cup, but it also included some soil. Dan and I judged that flotation processing would allow us to recover small seeds or bulb fragments that might be present but not readily recognizable among all the dirt and wood charcoal. Dan was interested in knowing what kinds of foods might have been cooked in the earth ovens at Rob Roy. Bison was abundant at the site, but plant foods are commonly cooked in earth ovens, too (Thoms et al. 2018). Many bulbs, roots, and tubers are more palatable and nutritious after the long slow cooking that earth ovens provide (Wandsnider 1997). In central Texas, these include wild onions and garlic (Allium spp. ), eastern camas (Camassia scilloides), and scurfpea (Pediomelum spp.). We also hoped to recover plant material such as grass stems, grape leaves (Vitis spp. ), and pricklypear pads (Opuntia spp.) that would have been used to provide moisture and insulate the food plants from the ash and charcoal in the fire. Dr. Steve Black, another archeologist associated with TARL (TBH co-editor) who has worked extensively on earth ovens, was also interested in seeing what, if any, plants might have been cooked in the earth ovens at Rob Roy. He provided a small grant to get the project underway. TARL curator Marybeth Tomka prepared loan papers that allowed me to take the charcoal samples to my laboratory for processing and microscopic examination. Flotation processing is a water separation method where soil from an archeological site is placed in water to allow any bits of plants to float to the surface while soil particles and any artifacts sink to the bottom of the container. Floating plant material can then be poured off (decanted) into a fine mesh or scooped off with a fine mesh strainer. Flotation processing can be as simple as placing soil in a 5-gallon bucket and decanting plant material into the kind of fine mesh used in tent windows (Figure 2). Any heavier artifacts still in the soil can be separated by pouring the remaining sludge through a screen. This method is what I used for the Rob Roy samples. More elaborate flotation systems use devices like electric sump pumps, jet nozzles, and aerators to make flotation faster and easier. All three editions of Deborah Pearsall’s essential textbook, Paleoethnobotany, include extensive discussion of various flotation devices. 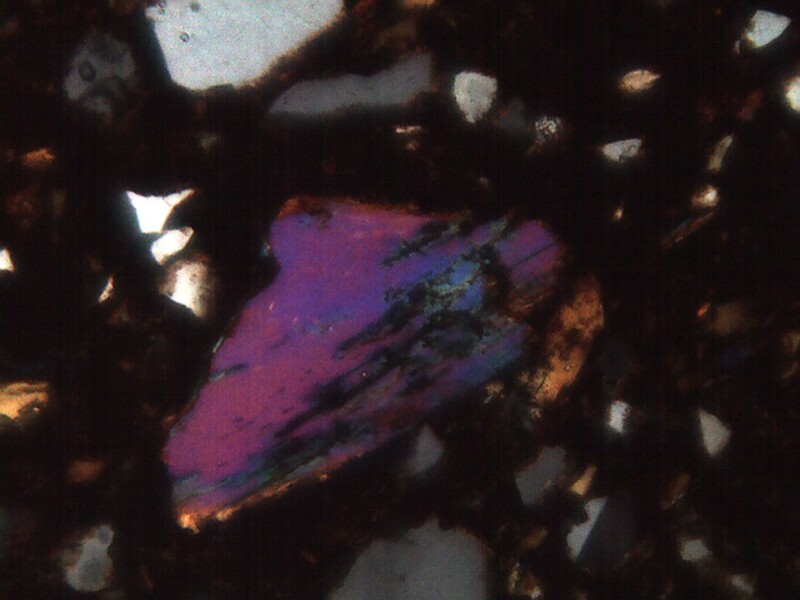 Figure 2: Flotation light fraction from the Eagle Bluff Site (41ME147), where light gastropods were decanted from the water surface along with modern rootlets and ancient charcoal. “24” is the number of this sample in the flotation log book. Microscopic examination of the flotation samples showed that the archeological plants at Rob Roy consisted mostly of wood charcoal. Based on a sample of twenty fragments selected at random from each feature, Feature 1 contained about 85% live oak and 15% white oak. Feature 2 was at least 95% white oak, but a single fragment of wood charcoal was clearly not oak. The fragment was too small and brittle to identify conclusively, but the closest match appears to be povertyweed (Baccharis spp. ), a weedy shrub that colonizes open areas near streambanks. Use of oaks for earth oven cooking makes a lot of sense both because they would have been common in the area even thousands of years ago and because they are dense woods that produce hot, long-lasting coals (Collier and Turner 1981; Marcouiller and Anderson n.d.). 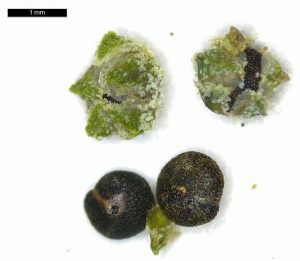 Carbonized fungi and insect droppings (probably termite) identified under the microscope indicate that the oak wood had been dead for some time prior to burning (Figure 3). Fuelwood was probably collected from snags or fallen trees in the gallery forest along the Colorado River. No evidence of bulbs or tubers that are commonly cooked in earth ovens or evidence of any material used to wrap foods during cooking was found in either sample. Feature 1 did produce seeds from one food plant and one medicinal plant, however. The probable food plant remains consisted of three seeds and one seed fragment of goosefoot (Chenopodium spp.) (Figures 4 and 5). Seeds of goosefoot plants are edible, and two species, C. quinoa (yes, that quinoa!) and C. berlandieri, were domesticated for their edible seeds in ancient times by Native American Indians. At least four species of goosefoot grow in Central Texas today, including C. berlandieri (Figure 6). No evidence for domesticated C. berlandieri has been found in the area, and the seeds from Rob Roy have thick, wild-type seedcoats. Goosefoot, quinoa, and other chenopodium species are members of the spinach family, known for nutritious, iron-rich greens. Goosefoot greens as well as seeds may have been exploited by the ancient inhabitants of the Rob Roy Site. In addition, the flowering seedheads of chenopodium species are edible, raw or cooked, like modern broccoli (Glore 2006). Nutritional studies of various species of chenopodium show they can be important sources of protein, minerals (especially iron), anti-oxidants, and anti-microbials (Navruz-Varli and Sanlier 2016; Poonia and Upadhayay 2015). Figure 4: Goosefoot (Chenopodium spp.) 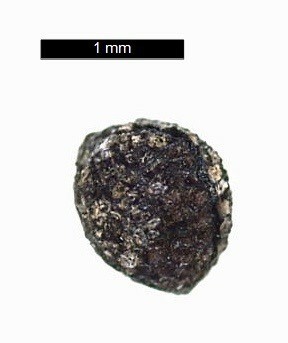 seeds and seed fragment from Feature 1, Rob Roy Site. Figure 5: Chenopodium plants can be difficult to identify to species. This one, photographed in San Saba County on August 18, 2018, is either slim-leaf goosefoot (C. leptophyllum) or thick-leaf goosefoot (C. pratericola). 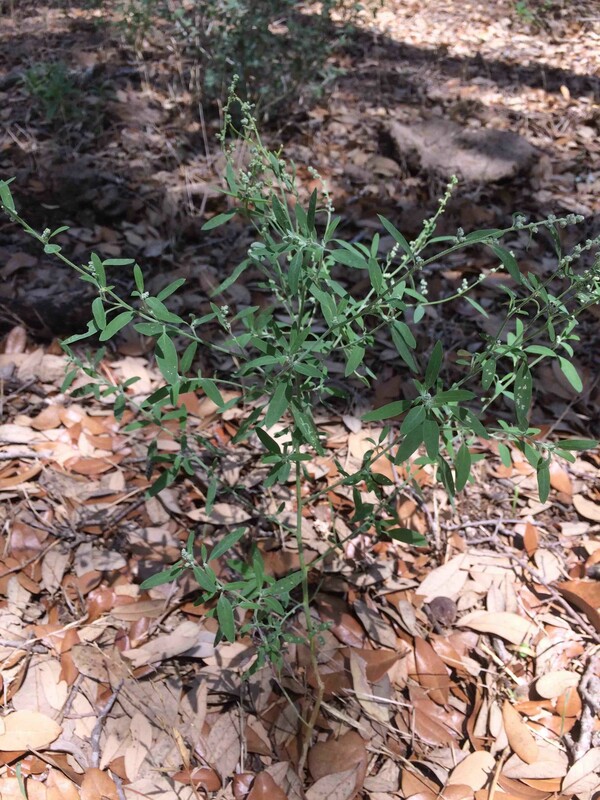 Figure 6: Fruits of pitseed goosefoot (Chenopodium berlandieri) from a wild stand in western Travis County, Texas. The probable medicinal plant remains consisted of one seed and two seed fragments of pricklypoppy (Argemone spp.) (Figures 7 and 8). To the author’s knowledge, this is the first pricklypoppy recovered archeologically in central Texas, although it is known from the Tres Metates Site in the Trans-Pecos (Dering 2008). Among historic Native Americans, use of pricklypoppies was almost always medicinal, and seeds were typically the plant part used. Paiutes, Shoshones, Kawaiisu, and Washoes used a salve containing the crushed seeds for cuts, sores, and burns (Moerman 1998:89-90). Shoshones used the salve to kill lice as well. 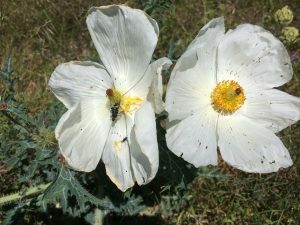 Shoshones and Comanches used an infusion of pricklypoppy seeds to treat sore eyes, and Shoshones also ate pulverized seeds as a more general medicine (Moerman 1998:89-90). An American native, pricklypoppy is now widespread in warm regions worldwide, and its seeds, leaves, and roots have been used by many people to treat ailments from toothaches and eye problems to cancer (Cheatham et al. 1995:448-458). Figure 8: Prickypoppy (Argemone sp.) photographed in western Travis County, Texas. Although it was disappointing not to find evidence of typical earth oven plants like camas bulbs, scurfpea tubers, or prickypear pads, the information gained by processing and examining the flotation samples is still useful. First, we discovered evidence that the ancient inhabitants at the Rob Roy site were using pricklypoppy, probably medicinally, and eating the leaves, seeds, and/or flowering seedheads of goosefoot. As to what was cooked in the earth ovens, the lack of bulbs, tubers, or packing material suggests either that the people at Rob Roy were such very careful cooks that no plant foods or packing material were accidentally charred or that the earth ovens were used to cook something other than plant foods. Given the abundance of bison bone at the site, pit cooking of bison is a strong possibility. Insights from plant remains at the Rob Roy Site highlight the long-term research potential of the extensive WPA collections at TARL: eight decades on the shelf and still yielding new data! 1995 Useful Wild Plants of Texas, the Southeastern and Southwestern United States, the Southern Plains, and Northeastern Mexico, Volume 1: Abronia-Arundo. Useful Wild Plants, Inc., Austin, Texas. 1981 Obtaining, Seasoning and Burning Wood, University of Kentucky College of Agriculture, Cooperative Extension Service AEES-18. Lexington, Kentucky. https://www.bae.uky.edu/publications/AEES/AEES-18.pdf. Accessed March 27, 2015. 2008 Ethnobotany of the Lower Pecos Canyonlands. https://texasbeyondhistory.net/ethnobot/index.html. Accessed 9/15/18. 2006 Domesticated Chenopodium in North America: Comparing the Past and the Present. Ph. 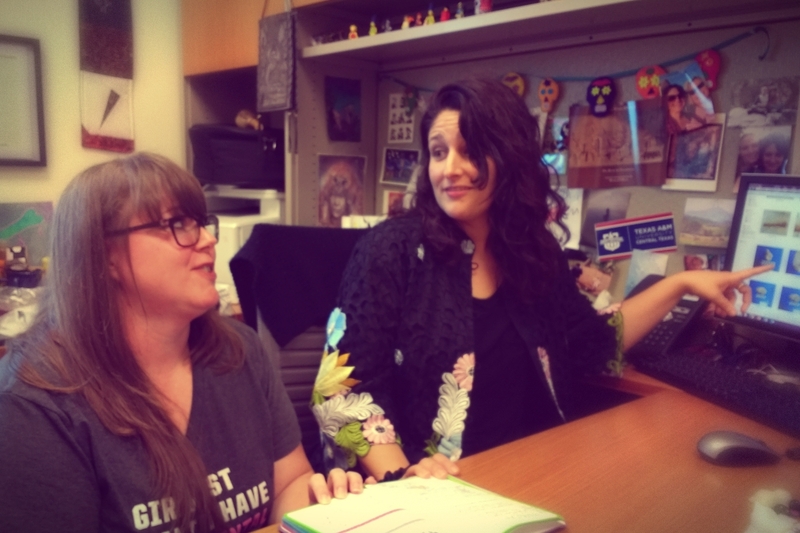 D. dissertation, Department of Anthropology, Washington University. n.d. Firewood: How to Obtain, Measure, Season, and Burn. Oklahoma Cooperative Extension Service, Division of Agricultural Sciences and Natural Resources, NREM-9440. Oklahoma State University, Stillwater, Oklahoma. http://pods.dasnr.okstate.edu/docushare/dsweb/Get/Document-2507/NREM-9440web.pdf. Accessed March 27, 2015. 1998 Native American Ethnobotany. Timber Press, Portland, Oregon. 2016 Nutritional and Health Benefits of Quinoa (Chenopodium Quinoa Willd.). Journal of Cereal Science 69: 371–376. 2015 Paleoethnobotany: A Handbook of Procedures. 3rd ed. Left Coast Press, Walnut Creek, California. 2015 Chenopodium Album Linn: Review of Nutritive Value and Biological Properties. Journal of Food Science and Technology 52(7): 3977–3985. 1997 The Roasted and the Boiled: Food Composition and Heat Treatment with Special Emphasis on Pit-Hearth Cooking. Journal of Anthropological Archaeology 16:1-48. Pamela Hanson is a student at Central Texas A&M. This article is part of the September 2018 TARL Newsletter. My name is Pamela Hanson and I’m working with Dr. Christine Jones at Texas A&M University-Central Texas Department of Social Sciences. Our current research project invites one to imagine caregiving and receiving among the hunter-gatherers of the past. Like us today, they would likely have experienced disease and disability, love and community. How might they have sought healing and comfort? What clues did they leave for us? It is really exciting to examine artifacts from the ancient peoples of the Lower Pecos region of Texas at TARL and explore these questions. Please stop by and visit our poster “Healing pathways: Exploring the Bioarchaeology of Care in the Lower Pecos” at the upcoming TAS meetings. Pamela Hanson and Dr. Christine Jones. Marni Francell is an archaeologist with Texas Parks and Wildlife. This article is part of the September 2018 TARL Newsletter. McKinney Falls State Park is a hidden gem just 20-minutes from downtown Austin. The sparkling waters of Onion Creek provide relief to park visitors from the hot Texas sun and offer recreational opportunities such as swimming and fishing. Prehistorically, people depended upon the creek and its many resources to survive. Evidence of their occupation can be seen through artifacts left behind at the Smith Rockshelter (41TV42). 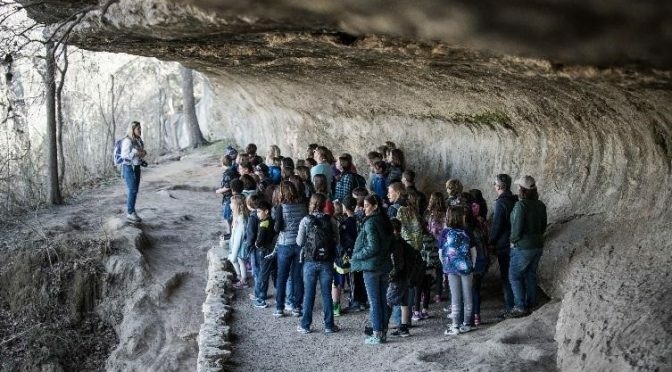 Excavated by Dee Ann (Suhm) Story in the 1950s, the Smith Rockshelter at McKinney Falls State Park gives park visitors a glimpse of how early inhabitants of Central Texas lived. In an effort to provide a hands-on learning experience, Park Interpreter Kristen Williams and TPWD Regional Archeologist Luis Alvarado plan to have replicas of several diagnostic artifacts cast. These artifact replicas will be used for outreach activities related to the shelter and Central Texas Archeology in general. Kristen and Luis, along with TPWD Archeologist Marni Francell and AmeriCorps member Jamie Gillis, visited TARL to see the Smith Rockshelter collection and to discuss loan options for replication. 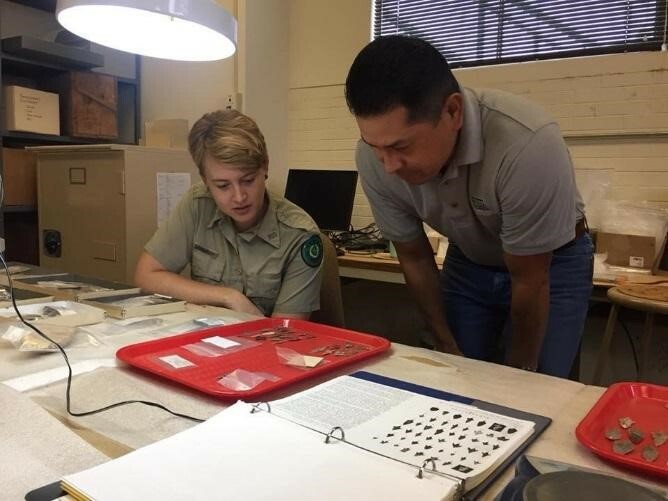 Kristen Williams and Luis Alvarado from Texas Parks and Wildlife examine artifacts from the 41TV42 collection at TARL. Most archeological collections from Texas State Parks are curated at the Texas Parks and Wildlife Department (TPWD) Archeology Lab, a state certified curatorial facility. 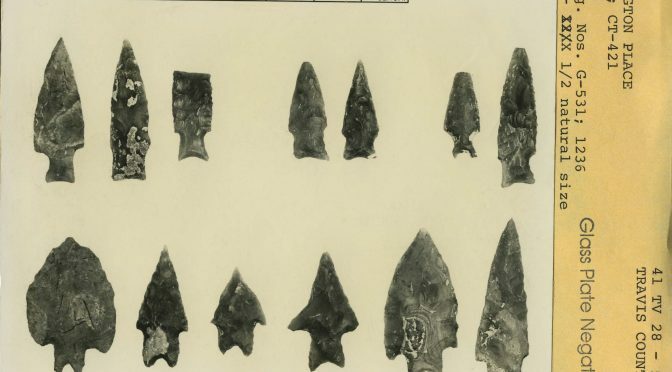 However, the 1950s Smith Rockshelter collection is housed at the Texas Archeological Research Lab because the shelter, at the time, was on private property. McKinney Falls was not acquired by the State of Texas until the early 1970s. It was opened to the public on April 15, 1976.
it may be some time before the replicas are ready, park staff look forward to providing the public with the opportunity to hold history in their hands. 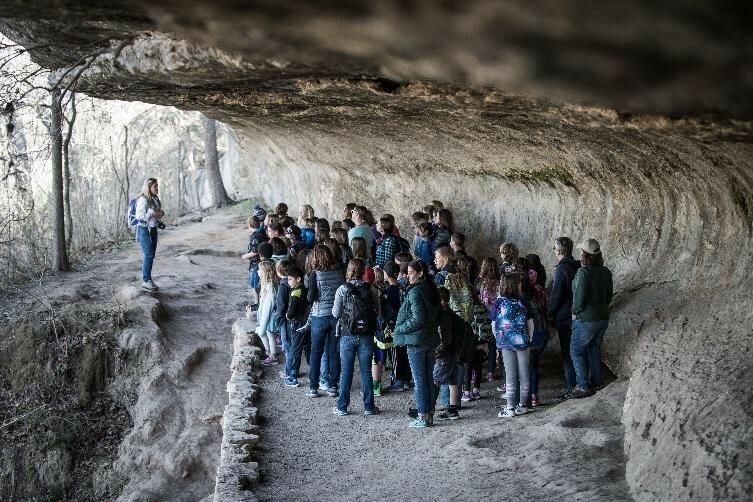 A group of students visits Smith Rockshelter in McKinney Falls State Park in Austin to learn about prehistoric life in the area. 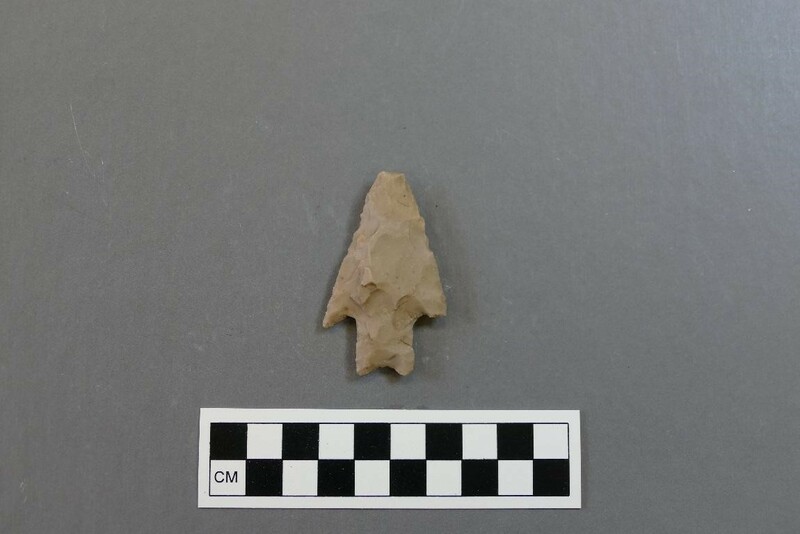 A Pedernales point from the 41TV42 collection at TARL, one of the artifacts that may be replicated so park employees can use it as they give tours and educate park visitors. Aaron Groth is a graduate student in UT’s geography department and a part-time contractor for TARL. This article is part of the September 2018 TARL Newsletter. Planet Texas 2050 brings together a multi-disciplinary team of UT researchers to examine issues of sustainability in the state of Texas. Research centers upon urbanization, water, energy, and ecosystem services (e.g., pollination, shade, water filtration, natural carbon sequestration) in the context of a changing climate and increasingly severe weather (e.g., hurricanes and droughts). Geographic Information Systems (GIS) and remote sensing technology can help researchers assess issues of sustainability – looking at past landscapes and human modification to model the future. DEMs, which provide a spatial resolution of only 30x30m. LiDAR is an important tool in archaeological research – for example, it has revealed ancient Maya cities and human landscape modifications under the forest canopy of Central America. 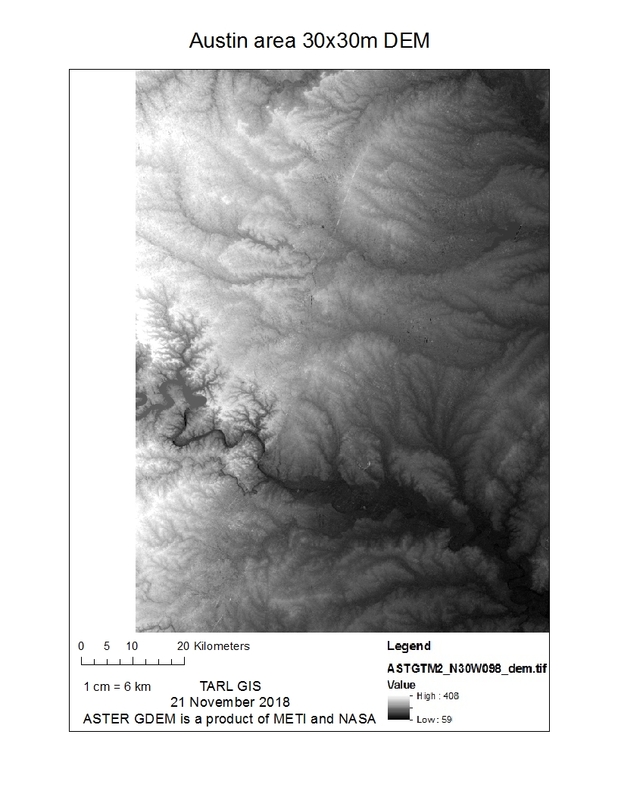 Furthermore, when there are multiple, time-series LiDAR datasets for an area, it constitutes an important tool for earth and ecosystem sciences – revealing changes in the biophysical environment (loss of glacier mass, changing streambanks, loss of leaves, etc.). Figure 1. 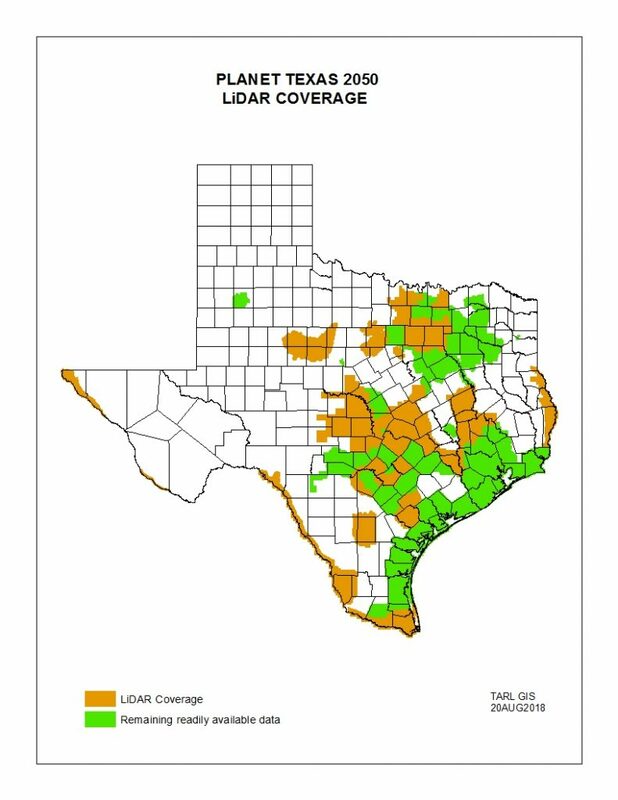 Statewide LiDAR coverage available through TARL’s Planet Texas 2050 partnership. At TARL, we are building a database of Texas’ available LiDAR data to further archaeological, earth science, and ecology research. Specifically, this database will give Planet Texas 2050 researchers the data they need to answer research questions surrounding the sustainability of population growth and urbanization, water and energy resources, and ecosystem services in the context of a changing climate. Figure 2. The Austin area as seen through a LiDAR DEM at 140×140 cm spatial resolution. 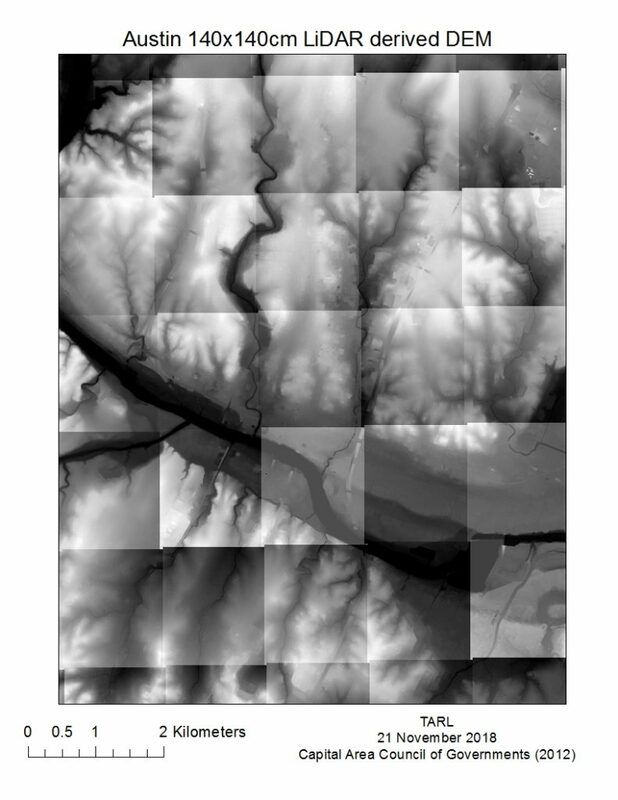 Major buildings, roads, rivers and streams are visible at this resolution. Timothy K. Perttula is a visiting researcher at TARL. This article is part of the September 2018 TARL Newsletter. 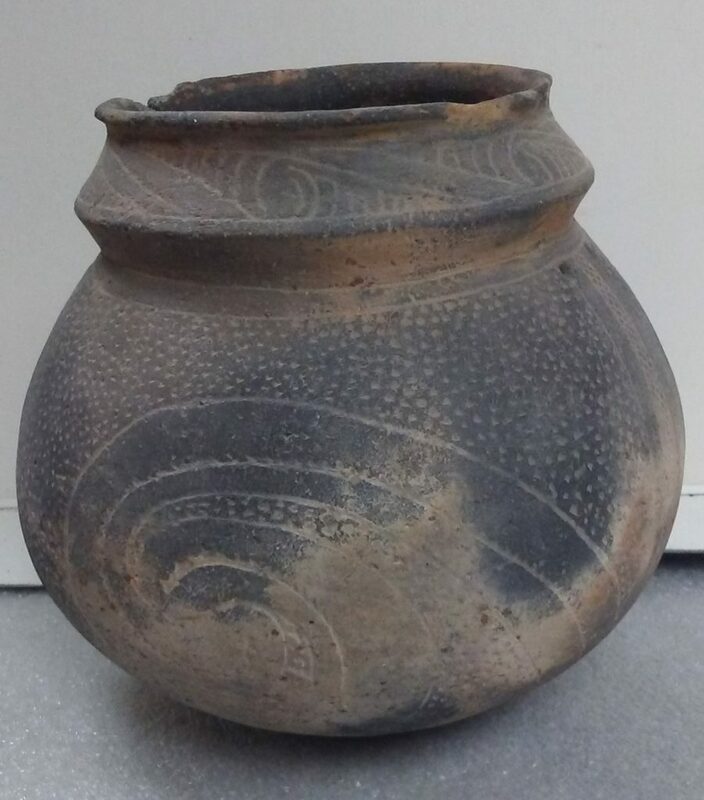 For several months this year, I have been focused on the study of ancestral Caddo ceramic vessels in the Texas Archeological Research Laboratory, The University of Texas at Austin whole vessel collections from 20 different Titus phase sites, dating generally from ca. A.D. 1430-1680, in Camp, Franklin, Harrison, Marion, Morris, Titus, and Upshur counties in East Texas (Figure 1). The purpose of this vessel documentation has been to obtain new but comparable vessel attribute data for use in the East Texas and larger Caddo area vessel databases, since the vessels of interest had not been examined and documented in full detail before the vessel documentation I am completing. 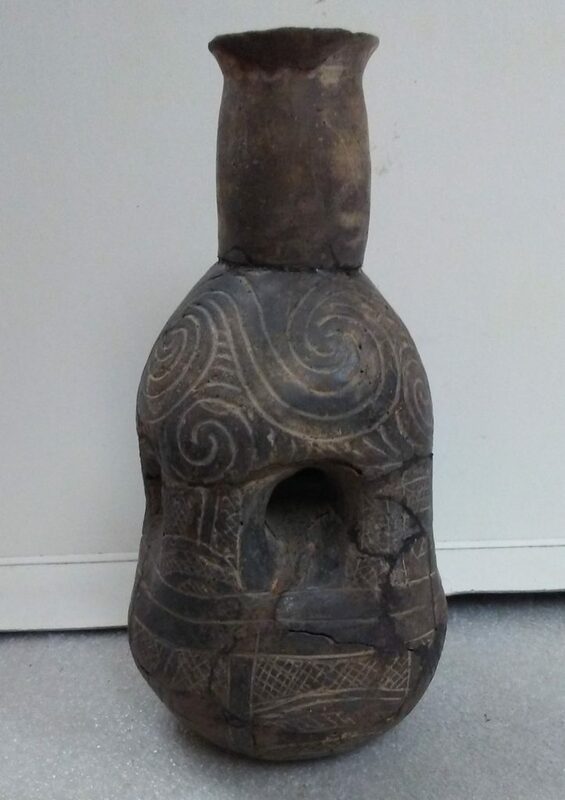 Furthermore, the vessel metadata and figures are to be included in a Caddo vessel gallery website currently under construction by Dr. Robert Z. Selden, Jr. (Center for Regional Heritage Research, Stephen F. Austin State University). Figure 1. Location of selected Titus phase components with ceramic vessel assemblages in the Big Cypress Creek and Sulphur River basins in East Texas. Figure prepared by Brian Wootan. The ca. 900 ceramic vessels are from different Titus phase sites in the Big Cypress Creek and Sulphur River drainage basins in East Texas. Almost all of the sites were investigated by archaeologists from the University of Texas (UT) in the early 1930s, led by A. T. Jackson, Field Foreman. At that time, UT archaeologists were interested in amassing a material culture record of the aboriginal peoples that lived in the region before Anglo-Americans began to settle in East Texas in the early 19th century, and their particular focus was on the sites and cemeteries established by ancestral Caddo peoples, and their associated artifacts and features. This led to the investigation of a number of Caddo cemeteries and the recovery of numerous funerary offerings, most notably ceramic vessels of many types and forms. Titus phase cemeteries are especially common in the Big Cypress Creek basin, and UT archaeologists investigated a number of them in the 1930s. Figure 2a. Compound vessel from Titus phase: Taylor Engraved, Vessel 65, Joe Justiss site (41MX2). The ceramic vessel assemblages from Titus phase sites in East Texas have been the subject of considerable scrutiny by Texas archaeologists since the 1950s, beginning with the development of the typology of Caddo ceramics by Dee Ann Suhm, Alex D. Krieger, and Edward B. Jelks, Robert L. Turner’s ground-breaking studies of the cemetery at the Tuck Carpenter site (41CP5), and then the recognition of the many varieties of Ripley Engraved, the most common Titus phase fine ware, by J. Peter Thurmond. This has been followed in recent years by detailed documentation studies of assemblages and collections from disparate parts of the Titus phase area, to a myriad of other research studies today that are concerned with stylistic, functional, iconographic, mortuary, and social network issues and themes. In my work, the principal concern is the detailed documentation of Titus phase vessels, including several of very distinctive form and decoration (Figure 2a-b) from less well-known mortuary assemblages held in the TARL collections. 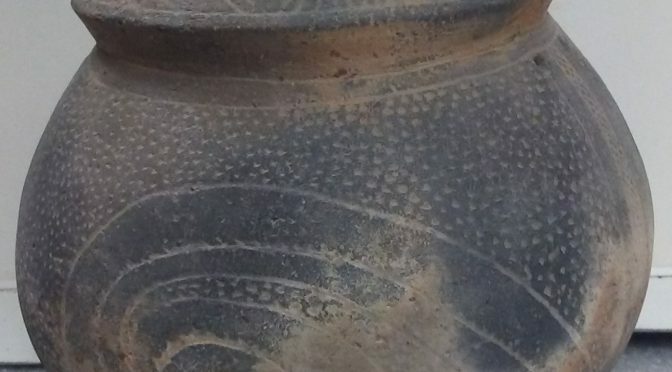 The hope is that the detailed analyses of these Titus phase ceramic vessel assemblages in East Texas will be of use in continued studies of the social and political organization of Titus phase settlements and communities in East Texas. Figure 2b. Compound vessel from Titus phase: Hodges Engraved, Vessel 218, J. M. Riley site (41UR2). As many of you know, we have been hard at work for the last two years with UT’s Liberal Arts Instructional Technology Services (LAITS) trying to bring our 17-year-old website, Texas Beyond History, into the 21st Century. We are happy to report that this complicated “makeover” is nearly complete and promises both esthetic and functional improvements. 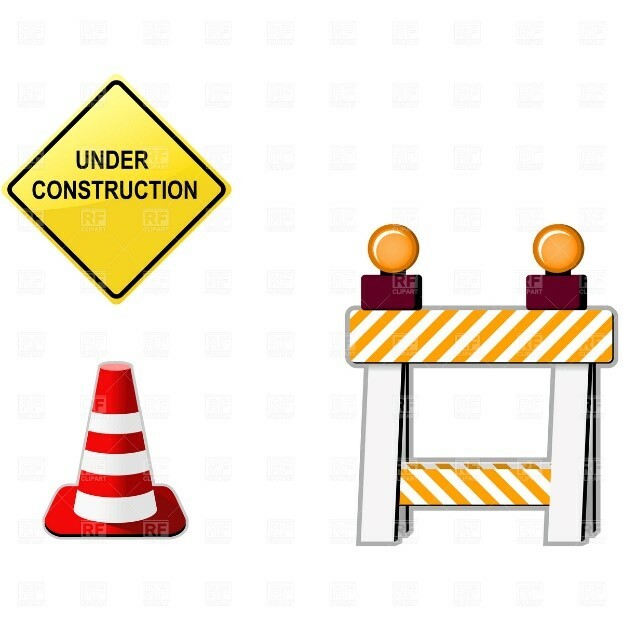 The project transforms our main entry portals as well as educational activities and interactive graphics originally programmed in Adobe Flash into a more modern technology accessible on many more platforms. This will allow viewers –whether in the classroom or in the field–to use tablets and, to a lesser extent, cell phones, to engage in TBH’s interactive learning activities, open interactive charts and maps, and fully utilize the resources of the website. TBH will have a fresh, new look but more importantly should function more smoothly. Website technology has advanced exponentially since the founding of TBH in 2001, when Steve and I, along with student website developer Meg Kemp, unveiled the website and the first 20 site exhibits. At the time, we were excited to offer many interactive features for maps, graphics, and student learning activities using Flash technology. The “cat’s meow” for its time, this program provided exciting tools to incorporate animation and other interactive capabilities in maps and graphics (e.g. opening up stratigraphic layers in a profile map). Unfortunately, Flash is no longer being supported by many browsers and has been dropped altogether by Apple and some newer Android devices. Viewers who use Apple products, particularly iPads and Mac books, may have been encountering blank pages where our traditional TBH interactive maps and Kids Only revolving carousel should be. As further complication, TBH was designed for “mousing” on a desktop or laptop, before touchpad navigation came into vogue. Many of our interactive scenes where users “mouse over and click” on segments of paintings to access more detailed information and site-specific photos of evidence (ie., Frank Weir’s remarkable painting of a prehistoric burial scene from Loma Sandia cemetery) cannot be utilized on these devices. As might be anticipated, this is a particularly critical problem in the classroom, and for K-12 teachers in particular, as schools increasingly are providing individual tablets for student use. For LAITS, the process has been especially challenging due to the volume of Flash content on TBH and markedly different formats in each of the Flash activities. There has been no “one size fits all” solution to reprogramming this content. Over the last year, however, LAITS web developers engineered a process to strip out content and imagery and then recreate the 40+ interactives using HTML5. Rollout of our revamped website is slated for sometime this Fall (2018). This is particularly important because TBH is heavily used in university archeology classes as well as in 4th and 7th-grade classrooms. We continue to receive emails from Social Studies teachers who have been stymied by the non-working Flash activities, but are anxious to once again use educational interactives such as “Through the Eyes of the Explorer: Cabeza de Vaca on the South Texas Plains.” Older students (even university students, according to Texas A&M professor Alston Thoms,) have used the kids Flash activity “Stratification in Action!” to better understand complex stratigraphic processes such as that which occurred over thousands of years on the Medina River at the Richard Beene site, on which the activity is based. This summer (with Steve back at TARL just in time for the TBH review process!) we will continue testing the updated website, checking new functions, and kicking the tires, so to speak. It is a painstaking process with numerous technological bugs lurking in the 60,000+ files that comprise TBH. 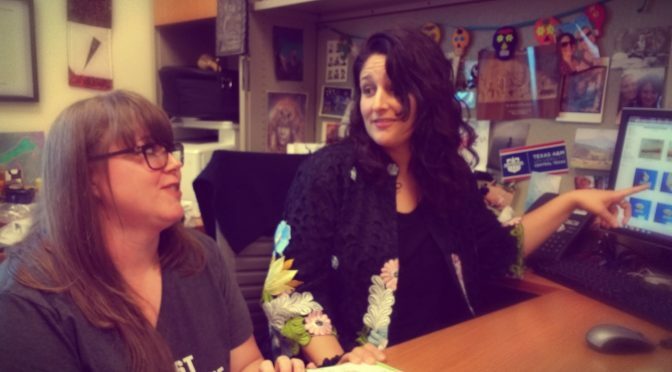 Fortunately TBH Associate Editor Heather Smith and Education Advisor Carol Schlenk have been able to join in the effort. While change can be difficult (if not agonizing), we at TBH are determined to embrace the opportunity to usher this much loved and critically acclaimed public education website into the modern era. We are grateful for the time and dedicated efforts of the LAITS staff and student technical assistants. And as for what lies beyond the website revamp process, Steve is already at work creating new plans and a vision of the future for TBH. Stay tuned! Ken Brown is a visiting researcher at TARL. This article is part of the June 2018 TARL newsletter. Much of my research over the past couple of decades has focused on reconstructing Texas paleoenvironments by studying snails and sphaeriid clams. Snails are very moisture-sensitive, and most of the state (except east Texas) doesn’t have acid soils, so the shells usually preserve well, except where groundwater or shrink-swell processes have been active. If proper sampling is done, enough specimens can often be recovered to allow some rudimentary quantitative methods to be applied. Although snails are not especially temperature-sensitive, they make good paleo-moisture proxies, and because vegetation and moisture are correlated, snails can also hint at past vegetative cover. Aquatic snails are especially diagnostic of past hydrologic conditions. Some species can tolerate hot, stagnant, poorly oxygenated water with high solute levels, and others require cool, well-oxygenated, fresh flowing water, so an aquatic assemblage can tell us a lot about past stream conditions. Snails are sessile animals with short lifespans, which means that individual field samples capture paleoenvironmental profiles that are restricted in time and space. 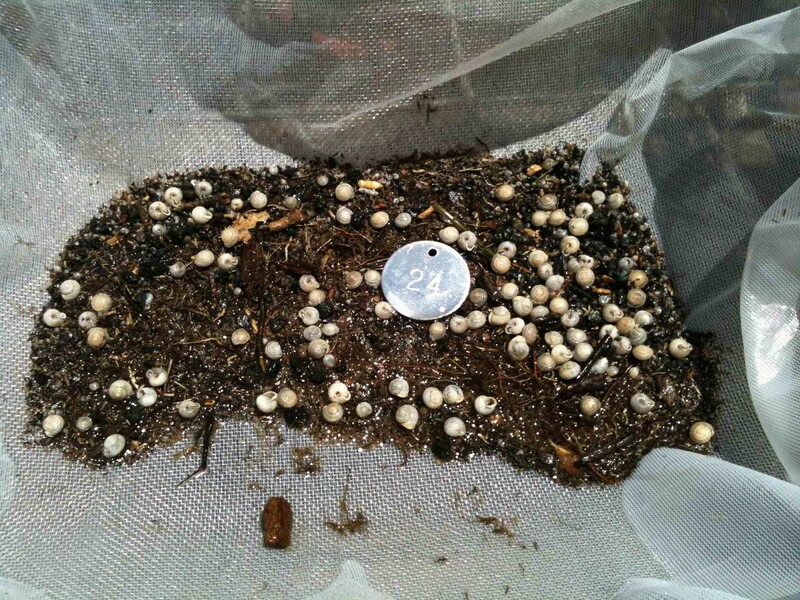 Proper sampling means fine-mesh wet-sieving of fairly large samples and picking of whatever shows up, including shell fragments and juveniles. 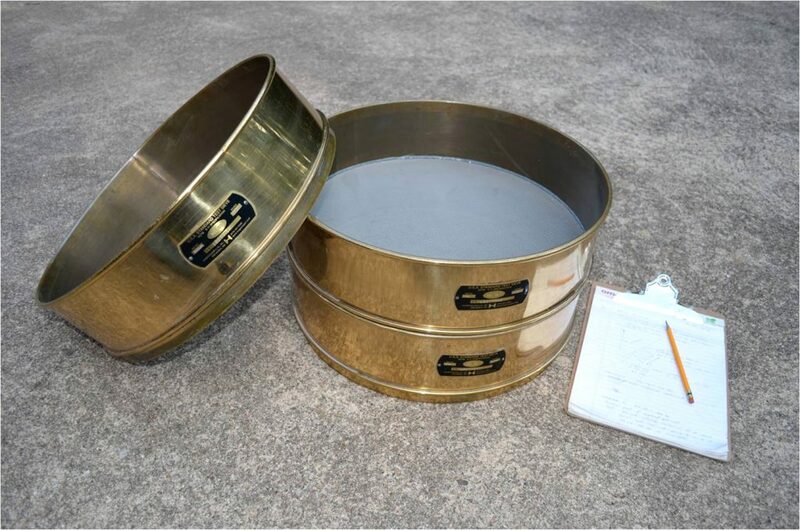 I use a standard nested set of oversize brass geologic sieves (18 inch diameter; Fig. 1). Mesh sizes are #10 (2 mm), #18 (1 mm), and #35 (0.5 mm). The British were the earliest proponents of this kind of research, and they often use one-liter samples, perhaps modeling their sampling methods after those of pollen analysts. But England is a wet place replete with snails, and while one-liter samples may be adequate there, Texas is a lot drier, so my target sample size is usually about 12-15 liters. There are perhaps 185 or so species of terrestrial snails native to Texas, and recent research suggests there might be another 60 or so aquatic species. Many of these (perhaps as many as 60% for terrestrial species?) are too small to be captured on quarter-inch archeological field screens. Most or nearly all the juveniles will fall through standard field screens, even for the larger species, so fine mesh sampling is essential if the complete spectrum of species is to be recovered. Figure 1. Nested geologic sieves used for sampling snails. For paleoenvironmental studies, I’ll try to collect a few pilot samples first to find out if snails are preserved at all, what condition they’re in, and how abundant they are. If the site looks promising, I’ll try to collect a continuous column of samples from a representative profile, perhaps in 10 cm vertical increments. To get the required 15 liters from a 5 cm thick sample requires a column about 60-80 cm wide, which is much more extensive than the usual pollen sample column. I try to avoid sampling features, since by definition features are places with extensive human disturbance, but for some reason many of the snail samples reported in the literature (for example, Wilson-Leonard) have come from cultural features. In the field, I measure out 15 liters of sediment, plus a little extra allowing for shrinkage, bag it in sandbags, and return it to TARL, where it is weighed and the volume re-measured after drying. Then the 15-liter sample is soaked in tapwater overnight (with dispersant if clay-rich) and wet-sieved through nested sieves. Small specimens are identified with a binocular microscope at low magnification (usually no more than 10X). Shell fragments are also saved and weighed, because recovering fragments is the only way to estimate how many fragments have been lost to breakage. Juveniles are tabulated separately and identified if possible. Snails are much like vertebrates, in that individuals often don’t develop species-diagnostic characters until adulthood is reached, so sometimes juveniles can only be identified to the family or genus level. On the other hand, if there is only one species in a genus present at a site, it is sometimes possible to assume that all the juveniles are representatives of the same species. For example if the only adult Gastrocopta found at a site are Gastrocopta pellucida, it is probably safe to assume that any juvenile Gastrocopta belong to that same species. If juveniles can be identified, adult/juvenile ratios can be computed. This will tell us something about juvenile mortality, which is linked to environmental conditions. High juvenile mortality probably means severe water stress, although fecundity can also be an evolutionary adaptation to living in stressful habitats. Most of the formal archeomalacological studies in Texas (those involving extensive fine sieving of sediments) have been done east of the 98º longitude line, or in other words east of the 32-inch annual precipitation isohyet, in the better watered part of the state. I’ve done studies at the Berger Bluff, Vara Daniel, and Fish Creek Slough sites, and other researchers have done studies at the Aubrey, Wilson-Leonard, Richard Beene, and various other sites. There have been a few studies in the Texas Panhandle and High Plains, at Lubbock Lake, Lake Theo, and at Mackenzie Reservoir (species lists with no specimen counts or sample volume given are provided for the Rex Rodgers and Snail Bed sites). Species lists are available for the Plainview site and several other sites on the High Plains (Neck 1995), but again, specimen counts and sample volumes are not given. At least one site (41CC112; Treece 1992:Table 15) in west-central Texas has been reported. The northeast and southwest quadrants of Texas, on the other hand, are a blank slate. The archeomalacology of East Texas remains completely unknown. The acidic, sandy soils and constant saturation with phreatic water are hostile to shell preservation. Indeed, I would speculate that there may be some calcium-poor areas in East Texas where even living populations are absent today. The southwest quadrant of Texas is mostly unexplored. One of the earliest archeomalacological studies in the state was done by Cheatum (1966) as part of the Amistad paleoecological project at Eagle Cave, Bonfire Shelter, Devil’s Mouth, and Devil’s Rockshelter, but the number of samples, volumetric size of samples, and number of specimens are not disclosed; intrasite provenience is reported only by stratum. Thus, we are left only with a laundry list of species. More recent studies at Bonfire and Skyline Shelter provide quantitative data, but both of these sites are rockshelters, and the Lower Pecos remains understudied. In the entire vast area of the Big Bend (more than 12,300 square miles, not counting parts of Culberson, Hudspeth, and Reeves counties), no formal archeomalacological studies have been done until recently, as far as I know. The Big Bend is truly a blank slate. 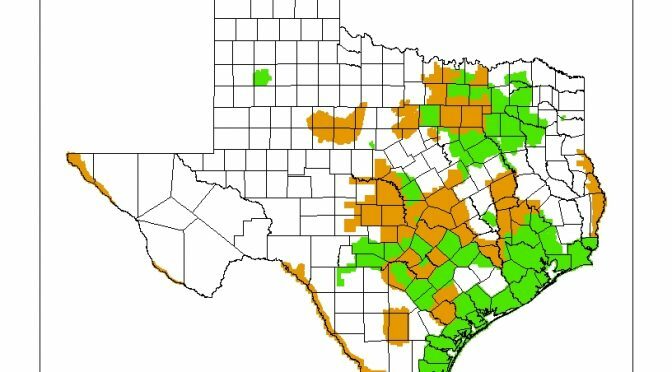 The potential of the driest two-thirds of Texas for these studies is largely unknown. 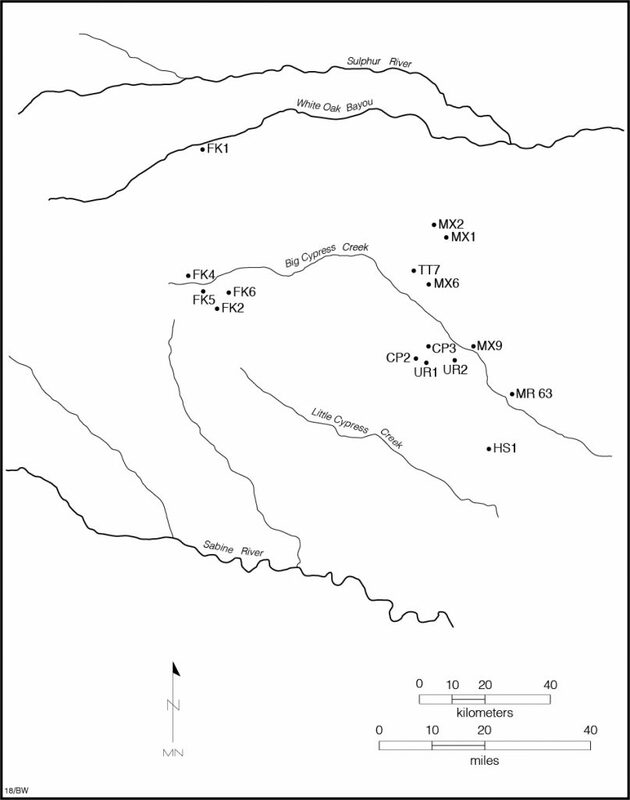 Pierce (1987) recovered large numbers of specimens at Lubbock Lake, but most of these came from bedload gravels or cross-bedded sand in Stratum 1. The research potential of alluvial terrace deposits in west Texas has been largely unknown. Cheatum’s faunal lists from Devil’s Mouth, and Devil’s Rockshelter offer promise, but without specimen counts, their productivity is unclear. We know that snails are moisture-seeking organisms, and we know that they are most abundant and diverse in the wettest parts of Texas, but how well do they function as paleoenvironmental proxies in the driest parts of the state? Figure 2. Site locations in Brewster and Val Verde Co. In July, 2013, I visited the Genevieve Lykes Duncan site (41BS2615), a stratified Paleoindian site on the O2 Ranch, near the confluence of Terlingua Creek and Davenport Draw in Brewster County, and collected a continuous column spanning the entire Holocene. In May, 2016, I visited the Sayles Adobe site (41VV2239), a high terrace site in Eagle Nest Canyon near Langtry. Tori Pagano collected a discontinuous series of eight pilot samples for me, from sandy sediments representing about a 2500-year span of the Late Holocene. I have now processed and analyzed the samples from both of these sites (Fig. 2), and in future issues of this newsletter, I hope to summarize what I’ve learned. 1966 Report on Mollusk Shells Recovered From Four Archeological Sites in the Amistad Reservoir. Pages 227-243 in Dee Ann Story and Vaughn M. Bryant, Jr. (assemblers), A Preliminary Study of the Paleoecology of the Amistad Reservoir Area. Final Report of Research Under the Auspices of the National Science Foundation (GS-667). 1995 Molluscan Remains. Pages 59-67 in Vance T. Holliday, Stratigraphy and Paleoenvironments of Late Quaternary Valley Fills on the Southern High Plains. Geological Society of America, Memoir 186. 1987 The Gastropods, with Notes on Other Invertebrates. Chapter 6 (pages 41-48) in Eileen Johnson (ed. ), Lubbock Lake. Late Quaternary Studies on the Southern High Plains. Texas A&M University Press. 1992 A Study of Five Annular Burned Rock Middens from the O.H. Ivie Reservoir, West Central Texas. Unpublished MA thesis, University of Texas at Austin. David Glen Robinson is a visiting researcher at TARL. This article is part of the June 2018 TARL Newsletter. Recent ceramic petrographic work at the Texas Archeological Research Laboratory (TARL) has identified an unusual tempering material in a sherd of Leon Plain pottery from the Albert and Bessie Kronkosky State Natural Area in Bandera County, Texas. 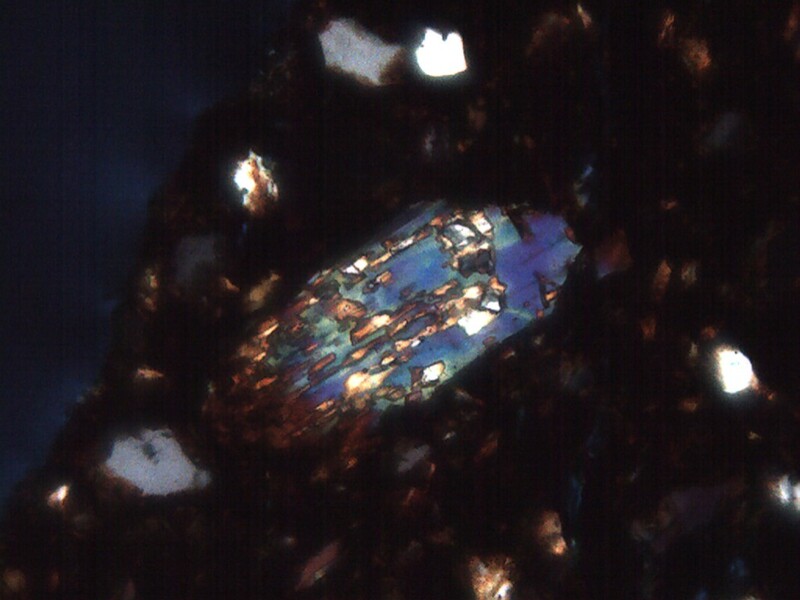 In petrographic work performed on a sherd of Leon Plain for Texas Parks and Wildlife Department under the supervision of Aina Dodge, the author identified the mineral olivine. 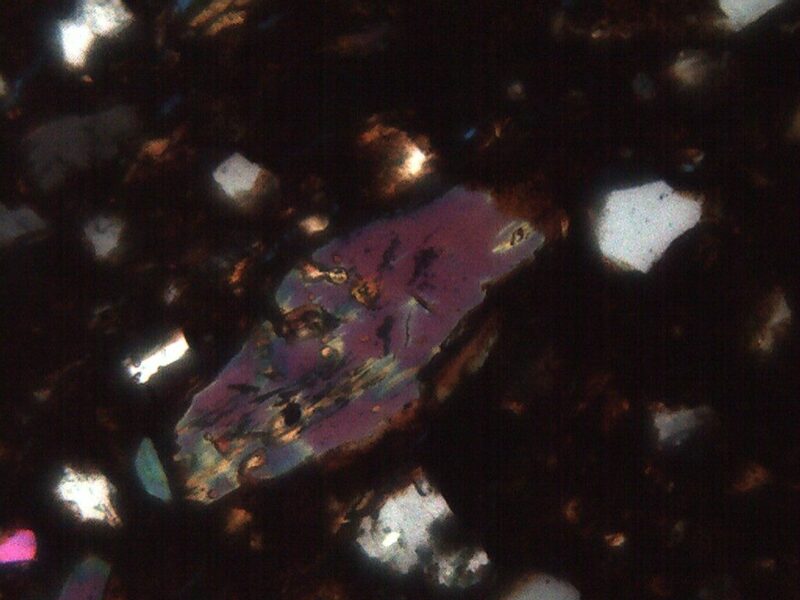 The mineral was a co-temper with the more usual bone temper common in Leon Plain ceramics. 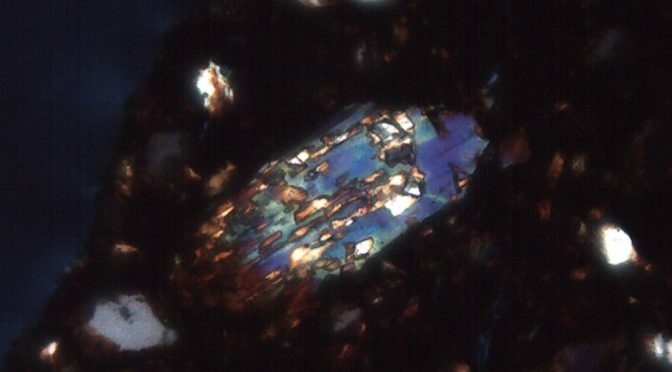 Olivine is an igneous mineral forming deep within volcanic vents or channels. It is considered an intrusive mineral and a component of basic, granular volcanic rocks such as gabbros. 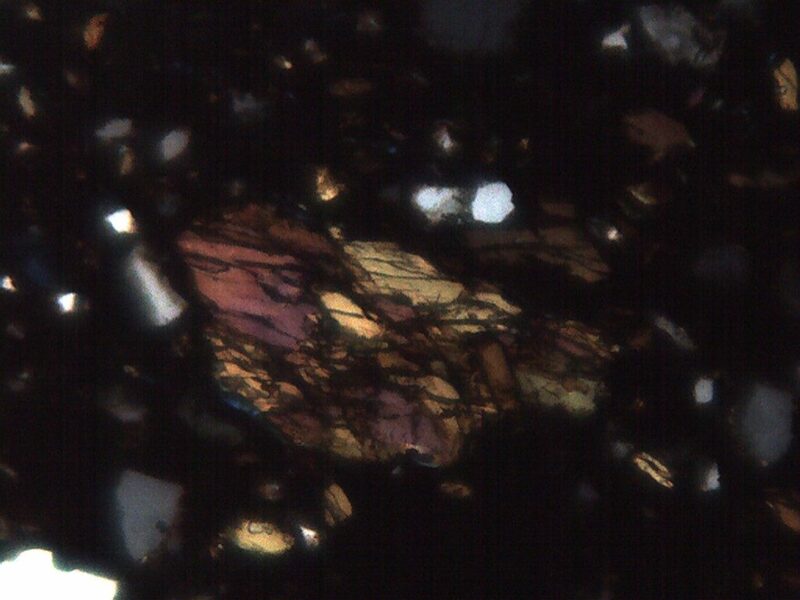 At the earth’s surface, olivine and other intrusives erode relatively rapidly, thus they are somewhat rare in surface deposits and not widely distributed. In hand samples, or gem forms, olivine is olive green, hence the name, and has vitreous luster. The microphotographs presented here are all from the subject sherd, BN266, designated from its site, 41BN266. All the photos are taken in cross-polarized light, or xpl. This was done to show the array of distinctive colors of various specimens of olivine in the sherd matrix. 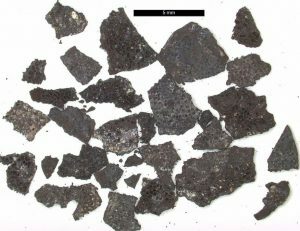 Given the rarity of olivine, the likely production locale of the pottery was several score miles northeast of 41BN266 on the Llano Uplift, where intrusive rocks were brought to the surface during the uplift events. An alternative source for intrusives is in the Big Bend and Marfa volcanic regions hundreds of miles to the southwest of Bandera County. More specific estimates of the sherd’s resource/production locality are not feasible at this time. 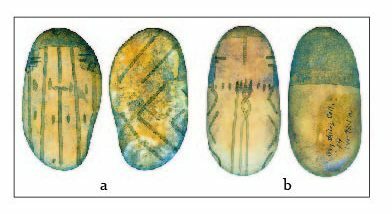 Figures 1-4.Microscopic petrographic images of olivine mineral temper identified in Leon Plain pottery from 41BN266. The ceramic petrography on the 41BN266 sherd was sponsored by TPWD and supervised by Aina Dodge. Timothy K. Perttula served asthe ceramic consultant to the project. Their guidance is gratefully acknowledged.